Through Energy and Mineral Resource Ministry Regulation No. 19/2018 on the Procedures for Determining Benchmark Prices of Metal and Coal Sales as well as through Energy and Mineral Resource Ministry Regulation No. 1395 K/30/MEM/2018 on the Selling Price of Coal for the Electricity Supply for the Public Interest the Indonesian government confirmed a new set of rules in the coal mining sector, specifically regarding coal that is sold domestically under the domestic market obligation. Through the domestic market obligation (DMO) the Indonesian government forces local coal miners to supply part of their coal production to the domestic market, specifically to coal-fired power plants as there is a real need for an increase in the nation's electricity supply. The most important consequence of the new regulations is that the government has now imposed a price cap on domestic sales of coal to the power plants. For coal with a specification of more than 6,000 kcal/kg GAR the price is capped at USD $70 per metric ton. In case the government's benchmark coal price (HBA) falls below this level - as was the case between September 2014 and November 2016 - then the selling price will be conform the HBA. Meanwhile, coal with a specification of between 4,500 - 5,900 kcal/kg GAR can now be purchased for an estimated price of USD $43 per metric ton, while coal with a specification below 4,500 kcal/kg GAR can be purchased for an estimated USD $37 per metric ton. The new regulation is imposed in order to relieve state-owned electricity company Perusahaan Listrik Negara (PLN)'s financial burden (PLN is the biggest domestic buyer of coal). Due to the soaring coal price in recent years the company's production costs have been soaring accordingly. Meanwhile, it cannot pass on these costs to the consumer because a large portion of the electricity supply in Indonesia remains subsidized, hence PLN cannot raise these rates (subsidized electricity rates are set by the central government). Moreover, recently the Indonesian government announced that it will not raise prices of subsidized fuels and electricity before late-2019. This decision is obviously politically motivated as local elections are scheduled for mid-2018, followed by legislative and presidential elections in 2019. A price hike would undermine the popularity of the faces and parties that are currently forming the cabinet. It is a strategy that has been applied by past cabinets as well. PLN can therefore save plenty of funds now it can purchase coal at more affordable rates at home. It is estimated that PLN can save up to IDR 18 trillion (approx. USD $1.3 billion) in 2018. It is also worth pointing out here that PLN only buys a very small portion of high grade coal (above 6,000 kcal/kg GAR). Nearly all of the coal it consumes is below 6,000 kcal/kg GAR. Ignasius Jonan, Minister of Energy and Mineral Resources, emphasized earlier that more affordable coal prices are required for local power stations in order to prevent electricity rate hikes. Thus, the new regulation will protect people's purchasing power but it will also support the competitiveness of domestic industries. Another important point is that the new price cap is applied retroactively and is set for a two-year period, hence the regulation covers the January 2018 - December 2019 period. Near the end of this period the regulation will be reviewed. For Indonesian coal miners the new regulations are a disappointment as they will not be able to profit optimally from domestic coal sales (power plants account for the majority of domestic coal demand). Also the Indonesian government will see less tax and non-tax (royalty) revenue due to the new domestic price cap. The government does give an incentive, however, to coal mining companies. Those coal miners that already have fulfilled their DMO percentage share will be allowed to boost coal output by 10 percent (their approved production quota will be raised by 10 percent). The government set a maximum coal production target as it seeks to curb domestic coal production in an attempt to safeguard plenty supplies for future generations. In 2018 the government targets to see the nation's total coal production capped at 485 million tons. Not all coal miners are affected equally by the new regulations. Those who focus on supplying the domestic market (and therefore must have power plants as customers considering power plants are the biggest coal consumers in Indonesia) will surely be impacted significantly. An example is listed coal miner Tambang Batubara Bukit Asam. This state-controlled mining company sells around 65 percent of its coal production to the power stations of PLN. However, Arviyan Arifin, President Director of Bukit Asam, said the company will for the first time produce high grade coal (6,300 - 7,200 kcal/kg GAR) this year. As there are basically no domestic buyers for this high quality type of coal, the company can therefore earn more from its exports, thus somewhat compensating for the lower profit on domestic sales. 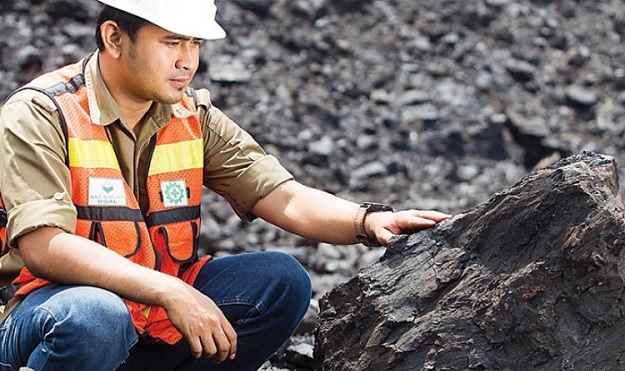 Meanwhile, Dileep Srivastava, Director and Corporate Secretary at Indonesia's biggest coal miner Bumi Resources, said his company will also boost the production and export of higher grade coal, hence limiting the negative impact of new regulations on the company's corporate earnings. Other Indonesian coal mining companies said they are now studying the potential impact of the new regulations on the companies' earnings. The two new Energy Ministry regulations came after Indonesian President Joko Widodo signed Government Regulation No. 8/2018 on the Implementation of Mineral and Coal Mining Business Activities on Wednesday (07/03). Through this government regulation the government revised the price mechanism for coal that is sold at home under the DMO scheme.